Since the place is located in the dunes of the Elbe, there is only a limited number of parking spaces for arrivals and departures at the check-in area. After checking in, guests have to park their car on the parking area, about 350m away from the reception. 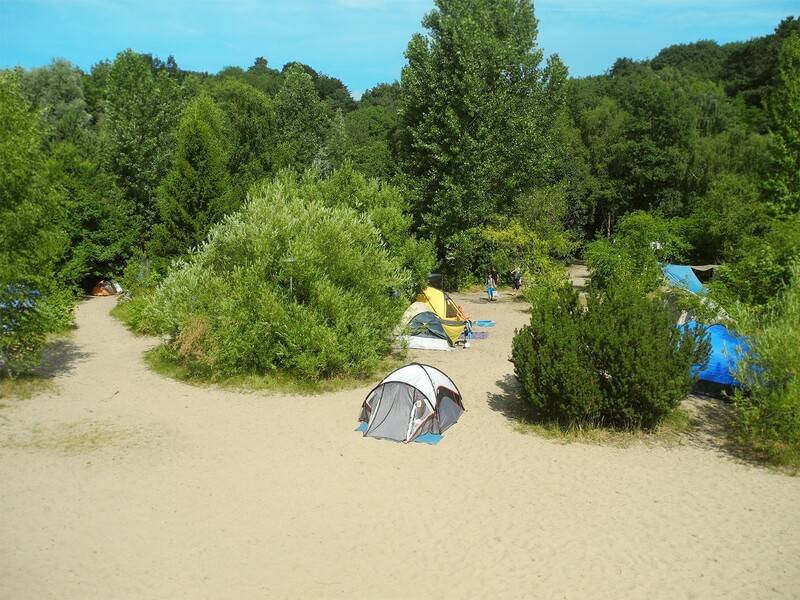 In any case, do not drive on the campsite without the instruction of the reception staff, as otherwise you will be in danger of getting stuck in the sand. Caravans are pulled to the pitches by the tractor. Motorhomes are guided to pitches with solid ground by the reception staff. Electricity connections for motorhomes and caravans are available. The tent-oasis in the western part of the camping site is car-free area, in general there are neither caravans, nor campervans or motorhomes in that area. We don’t offer electricity connections for tents, but the charging of mobile phone batteries is possible in Café Lüküs. Barbecuing is permitted, if you use a safe grill. Open fires are forbidden! Campfires are only allowed in fire baskets, which can be borrowed at the reception. You bear full responsibility and supervision for your fire and BBQ site! Please also read our campsite rules. Firewood is available at the reception. Please do not collect wood from the surrounding forests. The undergrowth is home to numerous insects and small animals! We want to preserve the nature of the landscape conservation area of Falkenstein. We also expect this from our guests! In the eastern part of the campsite there are up to 45 long term pitches for caravans. There are no electricity or water connections. The whole campsite has to be cleared in winter. Due to high demand, there are currently no pitches available.